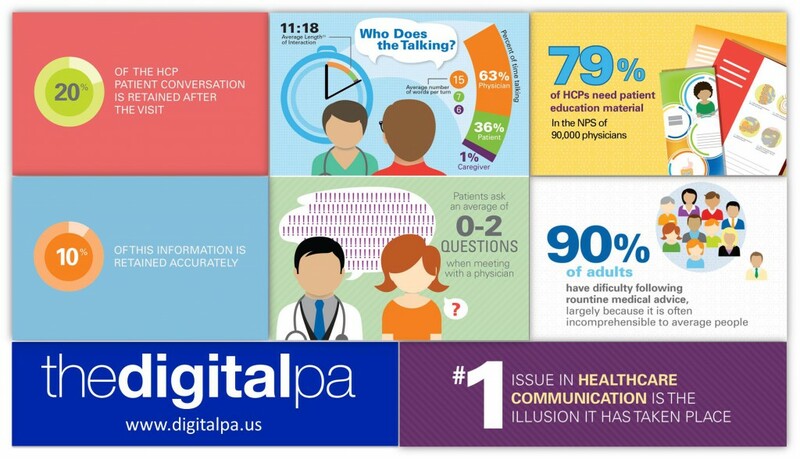 The Liberate Health team and I spent a lot of time talking with PAs at the recent AAPA Conference in Boston about interaction with patients at point of care. They whole-heartedly agreed with the fact that too often, patients, especially the newly diagnosed, don’t truly hear or understand the plethora of information they are provided during and post-visit. And the numbers tell the story in this infographic.